Gen Xtinct: Spidey on "Electric Company"
Spider-Man blew out of the comic books and into everything. There are TV, movie, and now a (reportedly horrible, and dangerous) Broadway version of the Webslinger. But one of my favorites is Spidey on "Electric Company." He was mute, which was a little weird. He spoke through cartoony word balloons that made a loud POP! when they came out of his mouth. He fought critters like the Yeti and the Blue Beetle and was never seen as Peter Parker, just his costumed alter ego. The crimes he fought were not exactly scary -- the Yeti's crime was that he went around sitting on ice cream cones. 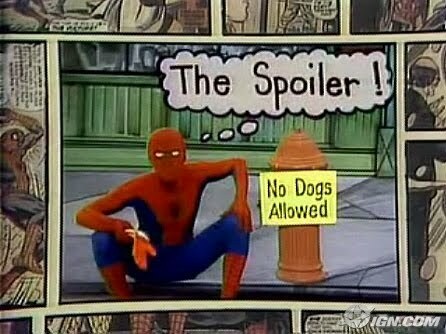 But man, when Spidey came on an "EC" episode, I felt like I hit the episode jackpot. Were you a fan? Or did the mute Spidey creep you out? Mute Spidey definitely creeped me out. I didn't like the way he moved or exaggerated his actions since he couldn't speak. I also don't like mimes, so that may be part of the reason. 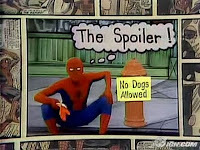 Mute Spidey was the reason I bought Spiderman comics.